I took this picture a while ago at a location I won't disclose as I walked into the facilities as a visitor. 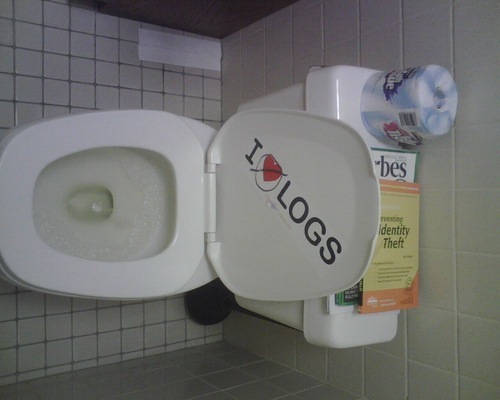 Please don't hold me accountable for either the state of the log consolidator (below) or its efficacy. It would appear that this particular appliance is suffering from some sort of buffer overflow as the container is suffering from a lack of flush.